When the TDP had won the elections in 2014, there were no VVPATs too for the YSRCP to question the verdict. Hyderabad: YSR Congress Party Chief Y S Jaganmohan Reddy called on the Governor E S L Narasimhan at Raj Bhavan and presented him a memorandum on the incidents Andhra Pradesh State had witnessed during the general elections and the aftermath. 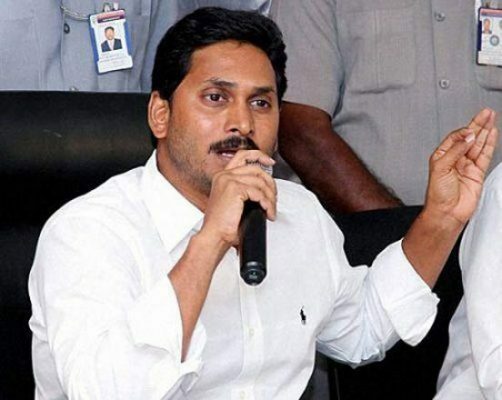 Closeted with him for about half an hour, Jagan accompanied by senior leaders of the party, apprised him of the TDP sponsored violence and attacks against his party MLAs and functionaries at different places. Later addressing the media persons outside Raj Bhavan, he said AP Chief Minister N Chandrababu Naidu had launched a sustained campaign against the functioning of the EVMs knowing fully well that the people’s verdict in the elections will be against the ruling party this time. Every EVM was put to use with the acceptance of the agents of the TDP and other political parties after conducting the mock polling. In 2014, when the TDP had won the elections, there were no VVPATs too for the YSRCP to question the verdict, he said. YSRCP leaders Dharmana Prasada rao, Pedireddy Ramachandra Reddy, S V Mohan Reddy and Parthasarathay and a host of others were part of the YSRCP delegation called on the Governor.